Leon Haslam will join Jonathan Rea in the factory Kawasaki Racing Team for the 2019 World Superbike Championship season. Speculation has been circulating about the move since the end of last month, but this evening Kawasaki have confirmed that the former WSB runner-up will replace Tom Sykes in the dominant squad. Haslam is no stranger to the World Superbike championship having made his full time debut in the series in 2004 with Renegade Ducati. However, it was during a seven-year stint in the series between 2009-2015 in which the Derbyshire ace enjoyed the most success. Haslam has five victories and 39 podiums to his name in WSB and in 2010 he finished runner-up to none other than Max Biaggi in the championship chase. Leon Haslam joins Jonathan Rea in the factory Kawasaki World Superbike team next year, but can he beat the soon to be four-time World Champion? Having ridden Honda, Suzuki, Aprilia, BMW, Ducati and Kawasaki machinery on the world stage, Haslam has plenty of experience to take to the team. Since leaving World Superbikes at the end of the 2015 season, Haslam has been riding in the Bennetts British Superbike series with Kawasaki, where he currently leads the championship chase by 80 points. 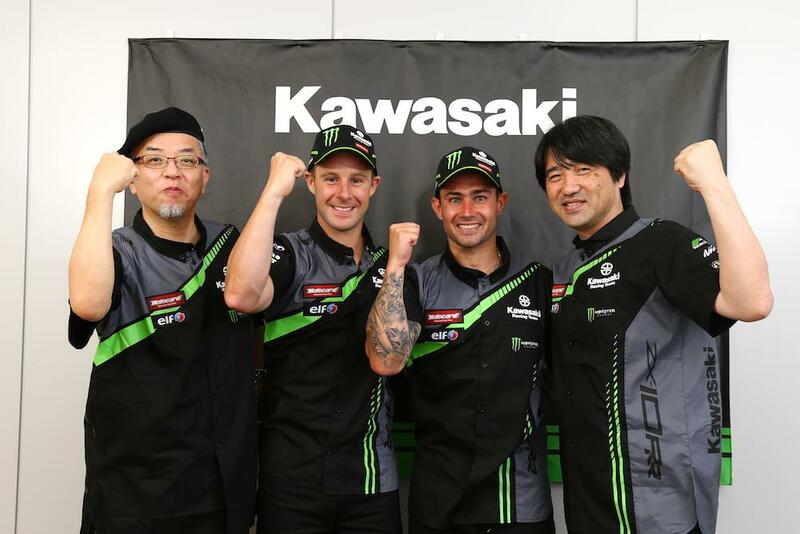 It won’t be the first time the pocket rocket has teamed up with Jonathan Rea, either, not only are the duo set to contest the 2018 Suzuka Eight Hour together this weekend, they were also team-mates for the 2013 and 2014 World Superbike seasons with the PATA Honda squad. “I honestly still can’t believe this is happening,” Haslam told MCN. “I never in my wildest dreams thought I’d get the chance to go back to World Superbikes on a competitive bike. “I’m really looking forward to it, in my previous years there I have won races, taken pole positions, lap records and finished runner-up in the championship in 2010. “The support of Kawasaki throughout my three years in the British Superbike Championship and via KHI at the Suzuka 8-Hour has been exceptional. The like-minded approach from Kawasaki UK and KHI in Japan has been really appreciated and I’m now going to repay them with the 2018 British Superbike title before going to challenge for the 2019 World Superbike title! For the exclusive first interview with Haslam about his 2019 World Superbike deal pick up today’s (25th July) Motorcycle News.